ĐÀ NẴNG — As cities around the region grow in size and population, a seminar on investing in urban infrastructure has been held in the central city of Đà Nẵng. “Climate change is a major concern for Asian cities because of rapid urbanisation. Additionally, many Asian cities are close to the sea, facing phenomena like typhoons, cyclones, earthquakes and other natural disasters,” said Vijay Jagannathan, secretary general of CityNet – a regional network of local authorities for the management of human settlements. Vijay said the organisation’s executive meeting aims to balance two things – creating jobs for young people moving to cities and sustainable urban management. “Some Asian cities have been doing well in balancing those goals, such as [those in] Japan and Korea. We are trying to replicate that success from north to south, from developed countries to developing countries or from one developing country to the others,” he said. The seminar included discussions in city finance and urban infrastructure investment to improve climate change resilience among members of CityNet, while providing a platform for city leaders, practitioners and finance experts to share best practices and discuss how smart infrastructure investments can foster sustainable urbanisation. CityNet, which is the largest association of urban stakeholders committed to sustainable development in the Asia Pacific region, has grown to include over 130 municipalities, NGOs, private companies and research centres. Đà Nẵng, which has been a member of CityNet since 2005, has launched its Sustainable City Development Project to make it more sustainable, benefiting all citizens by improving the urban environment and increasing urban mobility in a clean, safe, inclusive and energy efficient manner. The central city, with World Bank support, has developed into Việt Nam’s ‘greenest city’ over the past two decades, with sustainable approaches to urban development. It plans to be a ‘green and smart’ city by 2025. 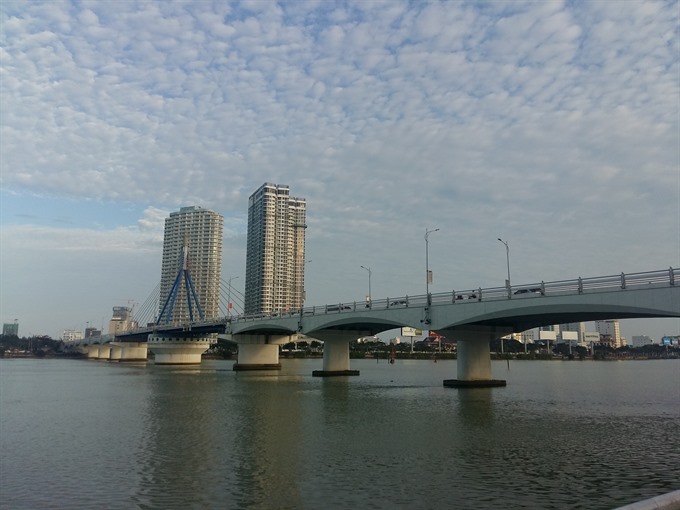 Toru Hashimoto, executive director of the development co-operation department of Yokohama City, Japan, said Đà Nẵng shares similarities with Yokohama, and build a core zone that creates a unique urban environment as the city has potential for connections between the city’s downtown and coastal areas. He said Yokohama and Đà Nẵng have co-operated in working towards sustainable development goals as the two cities signed the Memorandum of Understanding on technical co-operation in urban development in 2013-19. This has helped Đà Nẵng in eco-friendly development, education, science, economics, the environment and investment as well as calling for support from the Japanese International Co-operation Agency (JICA). Gordon Yang, deputy executive secretary of the international affairs advisory council of Taipei City’s administration, shared the success of the Taipei Energy Hill, the project that turned a landfill into an entertainment and educational park. He said the site also developed solar farms to supply two million watts per year to serve 573 households, while reducing 1,000 tonnes of carbon emissions. “We offered land and preferential policies for private sector investment in renewable energy. We supported them (businesses) so that they could make profit from renewable energy projects, and when they grew they could develop projects in other cities,” he said. Đà Nẵng has called for investment in key projects, including sea ports, solid waste treatment, railway station removal, a tramway connecting Đà Nẵng and Hội An, new industrial zones and a smart city project.